Discussions on equity, diversity and inclusion in research system have increased in recent years. 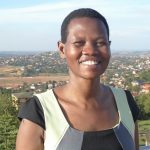 While most of the related global discourse surrounds the global north and south or gender, equity within the research system rarely finds a place in national conversations. 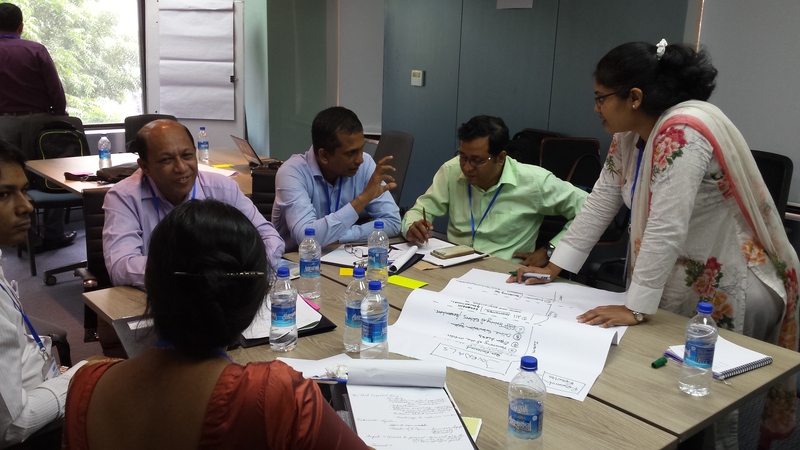 A multi-stakeholder dialogue on research equity in Bangladesh, organized by the Bangladesh Academy of Sciences and INASP, has helped to explore this uncharted field. In terms of ensuring diversity among its participants, the dialogue event in Dhaka passed the challenge with flying colours! The numbers of male and female participants were almost equal, with representation from universities and research institutions, scholarly journals, libraries, policymakers, and agencies coordinating education and research. Although the majority of the attendees came from the capital, other parts of Bangladesh were fairly well represented too. Participants ranged in age from their early-30s to mid-80s – and this range of perspectives across the generations was a key feature of this event. The dialogue started off drawing the research landscape of Bangladesh. It was done by analyzing four components of the research system − accessing research, conducting research, communicating research, and using research for policy and/or practice. The participants identified the inputs driving each component, the policies or rules guiding it, the tangible products or outputs derive from it, the broader changes it contributes to, and, finally, the historical, political, economic and cultural context each component has to work in. Recognition of researchers and their inspiration for research and communication. A session on gender equity in higher education and research heard two eminent Bangladeshi scientists − a physicist and a biologist. As they shared their decades-long struggles and frustrations as mothers, scientists and educators, the audience unanimously agreed that Bangladesh has come a long way over the last 40 years in terms of gender equity. It is in fact doing much better than many countries of the world; gender equity at senior positions at Bangladeshi universities, for example, is quite commendable. Supportive government policies, changes in society’s mindset, and improved family support were acknowledged as the key elements contributing to women’s positive participation in education and research over the past few decades. Participants in the dialogue event shared success stories of gender equity and women’s representation in politics. For example, Bangladesh has had women as Prime Minister since 1991 and in primary and secondary schools 54% of students are girls. However, some issues still remain in academia. These include the lack of universal child-care facilities at research institutions. In addition, the special requirement of female scientists to be with their small sick children also needs to be appreciated by institutional leave policies. Societies and institutions are yet to appreciate and fully support women to balance their roles as mothers, wives, and scientists. 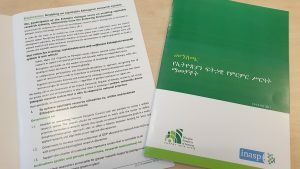 As identified by INASP’s Gender Mainstreaming in Higher Education Toolkit, this ‘balancing the baskets’ act still remains a universal challenge for female scientists. 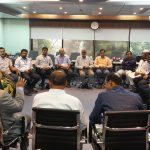 A word of caution was also uttered at the Dhaka dialogue meeting to watch out for dropping numbers of boys and take necessary actions to achieve true gender equity in the coming decades. The Dhaka event gave the participants space to envisage Bangladesh’s research system in 10 years’ time. At the beginning of the dialogue, they expressed that they wanted to see strong national policies supporting research systems that are focused on investing in people, particularly young researchers, as well as research facilities and infrastructure. 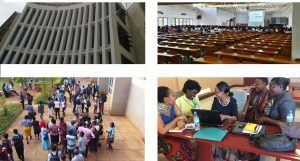 Participants also emphasized access to data and libraries and a desire to build collaborations and networks. As the dialogue progressed, investing in research was identified as an insurance for a nation. Therefore, there was a need for establishing a ‘national research system’ for conducting coordinated, multisectoral, holistic research. 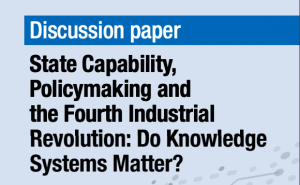 A platform of research institutions was needed to ensure common understanding of important agendas, like the Sustainable Development Goals (SDGs). Setting up research targets through national planning process was recommended as an important prerequisite for Bangladesh. Transmitting research and innovations to users also demanded investments. As a source of research funding, co-financing from industries was suggested as an option. As the participants started articulating a ‘vision’ for Bangladesh’s research system in small groups, they talked about capacity development, pragmatic and strong leadership, healthy lives, sustainable future, eco-friendly and innovative systems, diverse and resilient ecosystem, transboundary cooperation, collaboration among stakeholders, effective planning and governance, equitable access to resources, achieving SDGs, and ensuring economic growth and prosperity. Our vision is a research system that generates the world-class human resources and knowledge that lead Bangladesh to achieving the Sustainable Development Goals, being an economically developed nation and offering a promising future for all of its people — a future that is safe, healthy, equitable and sustainable. Participants also agreed actions for collectively helping make Bangladesh’s research system world class. These include harnessing the opportunities provided by open science as a way to improve visibility and dissemination of Bangladesh’s research output; exploring the use of pre-prints; doing work to support gender mainstreaming; and building up critical thinking processes within higher education in the country. In working on these actions, we also aim to build on systems already in place within Bangladesh such as the researcher database HEMIS (Higher Education Management Information System) and reinvigorate existing projects that may currently be underused. It was great to be part of this meeting and the participants look forward to working with Bangladesh Academy of Sciences (BAS) to help make our vision a reality.